This energy-based therapy is a form of Japanese stress reduction and relaxation that also promotes healing. A subtle energy flows from the hands of the practitioner to the client, and it is this energy that creates the relaxation and healing effect. Ki (this subtle energy) is affected by the mind, causing it to support our health, or to move us toward dysfunction, illness and disease. During a Reiki session, this energy (Ki) flows into a person’s energy field and around the organs and tissues, helping to remove “bad” Ki. The natural flow of “good” Ki is restored along with the person’s health. Reiki provides a higher level of nurturing to the body’s organs and tissues. It also works, on the mind, emotions, and spirit, making us feel better as a whole. 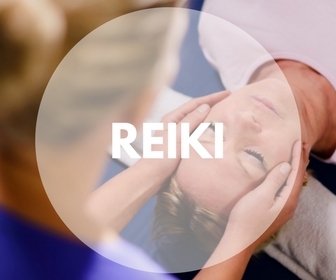 A Reiki session is incredibly relaxing and helps develop wonderful feelings of joy, peace, love, and confidence. It helps to decrease anxiety, and can help lift us when feeling depressed. When we feel good or peaceful internally, it helps decrease our physical pain. Reiki is also beneficial in treating injury or any area affected by pain, whether it is caused by arthritis, sciatica, over-exertion, or simply muscle tension due to stress.